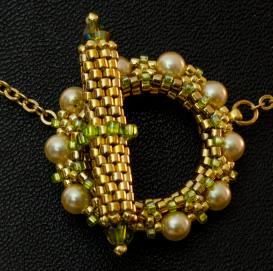 Explore a variety of techniques to create a collection of components for this necklace. Peyote, netting, embellishment and a little wire wrapping will enable you to recreate this original design or one of your own. A complete requirements list and tutor details will be supplied in the PDF contained within the confirmation email upon registration and payment.